The scuttled old armoured cruiser San Giorgio, which was used by the Italians as a coastal defence ship at Tobruk harbour until the town was captured by the British. 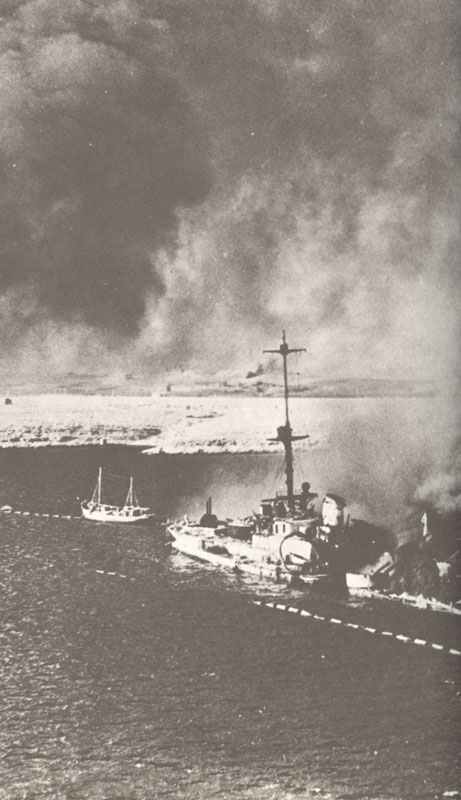 After emergency repairs carrier Illustrious leaves Malta for Alexandria (then goes to Norfolk Navy Yard, USA). Five Norwegian merchant ships – interned at Gothenburg, Sweden, since April 1940 – elude German minefields and the Gneisenau and Scharnhorst and rendezvous with British Home Fleet in Skagerrak.